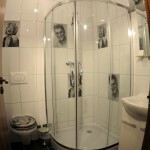 Would you like to have a shower with Marilyn or Elvis? 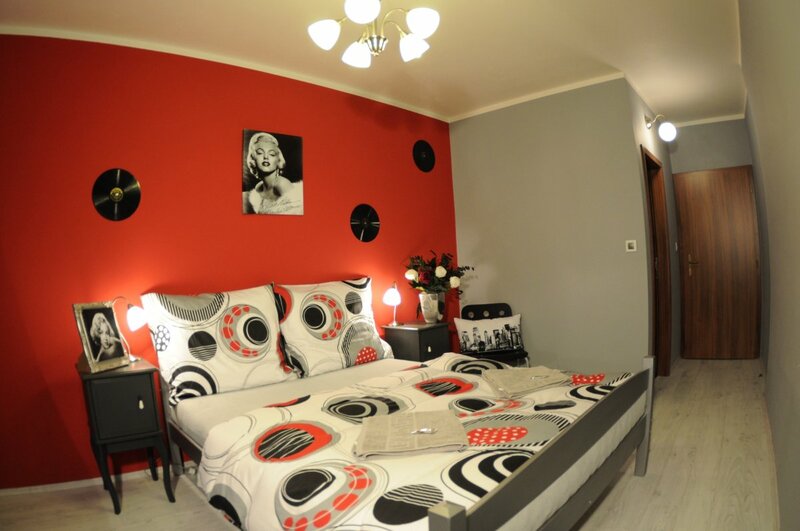 You can indulge it in a room that will take you to the United States in 60´s, the era of space exploration, flower children, Audrey Hepburn, Marilyn Monroe or Elvis Presley. Enjoy the expressive colors, lavish decorations, including the inherent vinyl plates on the walls. The right atmosphere touches also bed linen with colored shapes typical for that era. 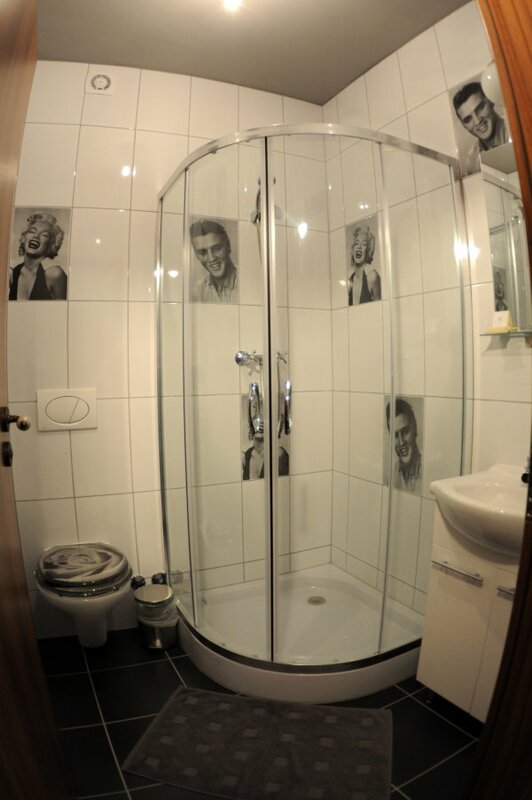 The real surprise you will find in the retro designed bathroom, where are decorative tiles with photographs of Marilyn and Elvis. Double room is equipped with TV, minibar, Wi-Fi. Bathroom has a shower, toilet, hair dryer and cosmetics.